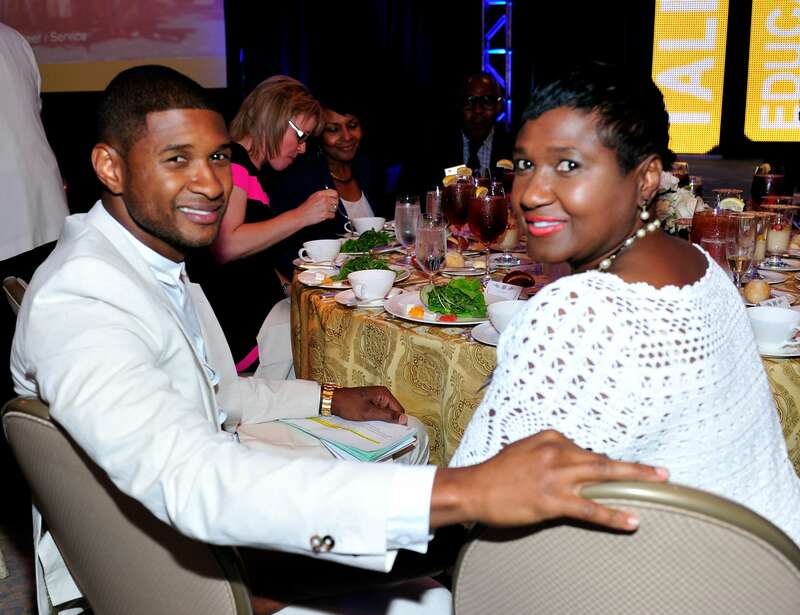 It looks like Usher is adding the food industry to his business resume with the help of his mother, Jonetta Patton. According to Forbes, the artist is investing in a catering startup called Hungry, that links chefs with companies that are looking for catered food. Patton, who has been active in Usher’s career since he was a kid, asked if her son was interested in the venture after she received a call from Nina Mahmoudpour, director of operations of the company. Mahmoudpour contacted about her own business, J’s Kitchen Culinary Incubator, which provides Atlanta chefs a place to work on their “craft and share resource.” Oddly enough when Mahmoudpour contacted Patton, she wasn’t aware that Patton’s son was the Grammy-award winning artist. It all seemed to work out. Other notable people have already invested in Hungry through its $8 Million Series A. such as JAY-Z, football player, Ndamukong Suh, former Whole Foods CEO, Walter Robb and restaurateur, Tom Colicchio. Hungry allows professional chefs who work in a licensed commercial to apply and they screen the chefs and taste the food they plan to serve to clients. Once they accepted, they then cook the dishes and logistics are handled by Hungry. Since its founding in late 2016 by Eman and Shy Pahlevani, the company has already raised $12.5 million. Hungry currently offers catering services out of Philadelphia and Washington, D.C. They are looking to expand to other locations, including Atlanta.